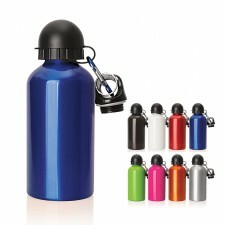 All of our aluminium drink bottles have a BPA free liner and the lids are also MPA free. Available in both 750ml and 500ml and a huge range of bright colours. Aluminium bottles were favoured by alpine campers and adventure enthusiasts for their lightweight and durable properties. 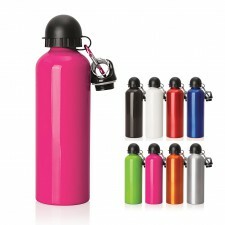 It is these same properties and a wonderful print area that make these bottles such an excellent promotional product. All of our aluminium drink bottles have a BPA free liner and of course the lids are also MPA free. They make an excellent promotional product for outdoor events, fitness related themes, schools universities , sports clubs, conference - in fact just about anything! Available in both 750ml and 500ml and a huge range of bright colours; there is bound to be an aluminium bottle to suit your next promotion.